COLOMBO, May 8 2015 (IPS) - There has never been any doubt that Nepal is sitting on one of the most seismically active areas in South Asia. The fact that, when the big one struck, damages and deaths would be catastrophic has been known for years. Indeed, when this correspondent visited Nepal several years ago, and found himself climbing up the narrow, winding stairwell of the Nepal Red Cross Society office in Kathmandu, a poster on one of the doors demanded a close read: “Kathmandu Valley is most vulnerable during an earthquake,” the sign said. Looking out of the window at the densely populated hillsides, dotted with three-storey concrete structures hugging each other in the jam-packed metropolis, it was clear the warnings were not hyperbolic. Little over a month before the massive earthquake struck on Apr. 25, Mahendra Bahadur Pandey, Nepal’s minister for foreign affairs, warned the world yet again of what was to come. “It is […] estimated that the human losses in the Kathmandu Valley alone, should there be a major seismic event, will be catastrophic,” he told the United Nations World Conference on Disaster Risk Reduction in Sendai, Japan, in March. Horrifyingly, his words were prophetic of the tragedy that unfolded not long after. Less than two weeks after the 7.8-magnitude quake rippled through Nepal, close to 8,000 people have been pronounced dead, while hundreds are still missing. Families wait for news, while officials wait for their worst fears to be confirmed: that the death toll will likely climb higher in the coming days. Over 17,500 people are injured, and ten hospitals have been completely destroyed, according to the United Nations Office for the Coordination of Humanitarian Affairs (OCHA). An estimated eight million people, largely in the country’s Western and Central Regions, have been affected by the disaster – representing over a quarter of Nepal’s population of over 27 million people. The largest cities, such as Kathmandu and Pokhara, have been badly hit; within 72 hours of the quake, over half a million fled Kathmandu to outlying areas. Despite ample evidence of the damage a disaster of this scale could wreak on the country, Nepal was in many ways caught unawares, and is now struggling to meet the challenges of providing for a beleaguered and petrified population, who weathered numerous aftershocks in the week following the major quake. Scores of families are still living in tents, while the World Health Organisation (WHO) has issued an urgent funding appeal for the estimated 3.5 million people in need of emergency food aid. With so many hospitals destroyed, doctors have resorted to treating patients in the street. The U.N. health agency has allocated 1.1 million dollars for medical staff and supplies and has so far treated 50,000 patients in the 14 most severely affected districts. But there is a limit to what aid agencies and donor countries can do, and eventually the government will have to shoulder the lion’s share of the recovery effort: something experts feel Nepal is unprepared for. “It is a massive relief operation, probably the largest in this region that we have launched,” Orla Fagan, regional media officer at OCHA’s office in Bangkok, Thailand, told IPS. The long-term reconstruction bill could be as high as five billion dollars, while U.N. agencies said last week that they need at least 415 million dollars for more immediate efforts over the next three months. Fagan said that because the threat levels were known, some degree of coordination and disaster preparedness work was being carried out in the Himalayan country prior to the disaster, mostly relating to training and building awareness. Nepal is considered a Least Developed Country (LDC) and currently ranks 145 out of 187 on the United Nations Human Development Index (HDI). It is also saddled with massive debt – over 3.8 billion dollars owed to donors like the World Bank, International Monetary Fund (IMF) and the Asian Development Bank (ADB) – and funneled over 217 million dollars into debt repayments last year, money that might have been better spent shoring up its disaster preparation and management systems. Fagan explained that the main gaps in disaster preparedness levels were in information management, with the government failing to collect data gathered by various actors into a cohesive national data bank. The country was also lacking a tried and tested national blueprint on early response and coordination of relief efforts. A little known fact is that despite the very real threats of earthquakes, heavy rains, landslides and glacial lake outbursts, Nepal’s disaster response policies are governed by the over three-decades-old 1982 Natural Calamities Relief Act. Though a 2008 draft act envisaged a National Disaster Management Authority, it is yet to be ratified by parliament. “The hope now is that with all the international resources and goodwill pouring in, Nepal can build a stronger national disaster preparedness policy and mechanism,” Fagan said. Regional disaster experts agree with that assessment. “First the funds need to be used for recovery interventions,” explained N.M.S.I. Arambepola, director of the Asian Disaster Preparedness Center in Bangkok. 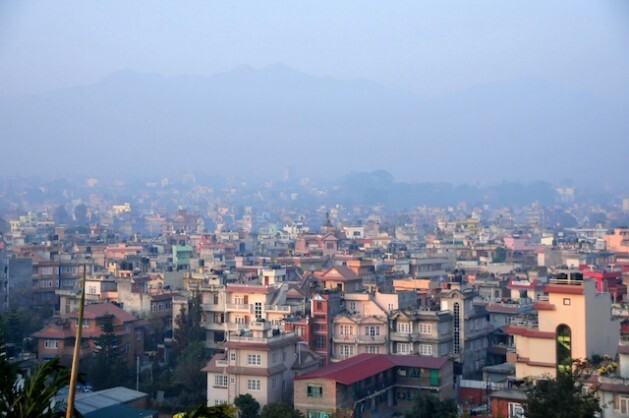 “But a part of the funds should be used to develop a road map for a disaster resilient Nepal. “The document would also identify the roles and responsibilities [of various government agencies] in implementation, ensuring that the government initiates a long-term plan for disaster risk reduction with the support of the development community,” the expert told IPS. Such a document would specify which branches would issue warnings, which would disseminate them and which would be in charge of evacuations, for instance. Arambepola also believes Nepal could learn a thing or two from its neighbors, no strangers to natural disasters. “Nepal should take the example of other South Asian countries such as India, Pakistan, and Sri Lanka to develop policy [and] legal frameworks and an institutional set-up for disaster risk reduction,” he stressed. Sri Lanka in particular presents an excellent case study, since it was just ten years ago that the country was caught in a similar crisis, completely at a loss to deal with the devastating impact of the 2004 Asian tsunami. Whereas Nepal at least has been aware of the earthquake threat in its densely populated cities for many years, Sri Lanka had no idea that its coast – home to 50 percent of the country’s 20 million people – was in such grave danger. It found out the hard way on Dec. 24 when the killer waves knocked the stuffing out of three percent of its population, leaving 35,000 dead, over a million destitute, and a reconstruction bill of three billion dollars. The country’s former secretary to the ministry of disaster management, S M Mohamed, described the tsunami as an “eye-opener”, sparking efforts at both government and civil society levels to ensure that the country would never again be caught off guard. While the road to stronger management and preparedness has by no means been a smooth one, Sri Lanka has nevertheless made great strides since that fateful day, including setting up the country’s first-ever Disaster Management Centre (DMC). In the last decade the DMC has evolved into the main national hub for disaster preparedness levels as well as becoming the nodal public agency for relief coordination and early warnings in the event of a natural calamity. It has district offices in all 25 districts with personnel ready at any time for immediate deployment. In April 2012, the DMC was instrumental in efficiently evacuating over a million people from the coast, due to a tsunami threat. “The Sri Lankan operation grew from scratch, and now it’s at a somewhat effective level, [though] there are still gaps. Disaster resilience is more about lessons learnt by trial and error,” DMC Additional Director Sarath Lal Kumara told IPS. Although Nepal’s challenges are unique compared to some of the worst disasters in the region’s history – with 600,000 flattened houses after the quake, compared to Sri Lanka’s 100,000 following the tsunami, for instance – it still stands to take away valuable lessons, that will hopefully prevent unnecessary damages and loss of life in the case of future catastrophes.